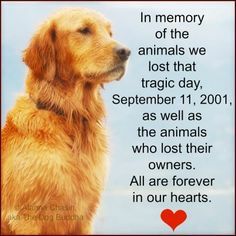 Thirteen years ago today, two big buildings in New York collapsed to the ground after they were hit by planes flying into them. It was a terrible act of terrorism that shook the world. 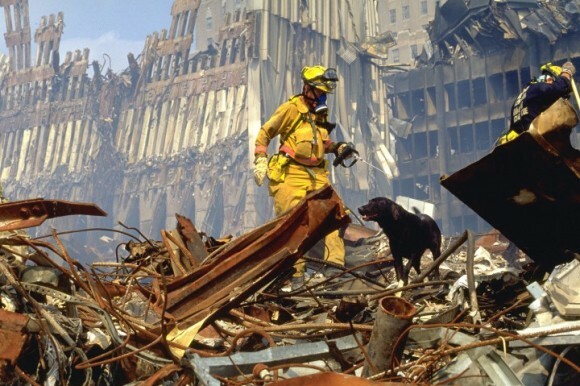 During the chaos of the 9/11 attacks, where almost 3000 died, nearly 100 search and rescue dogs with their brave owners were used in the rescue and recovery operation at Ground Zero. 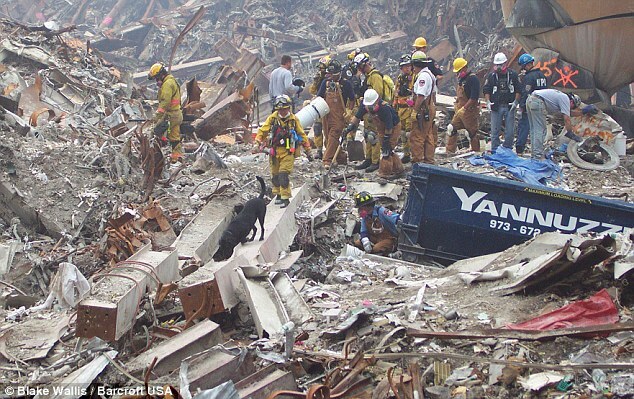 In addition to doing what they were there to do, they also provided comfort for the brave firemen and rescue workers of the emergency services. 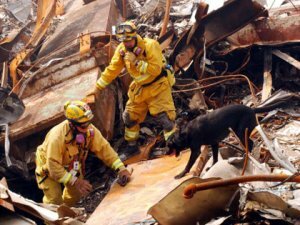 One of the survivors who is blind was led out of the building by his seeing eye dog, Roselle. 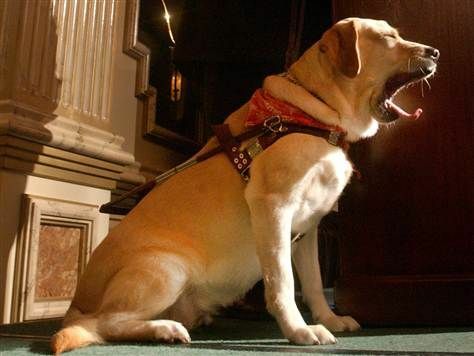 The yellow lab calmly guided her blind charge 1,463 steps out of the building. As debris fell and dust billowed, she found a subway station and led them both underground to safety. 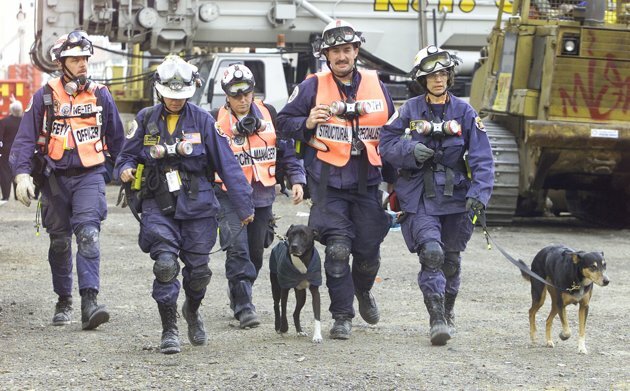 Another who had been working at the scene with a bomb-sniffing dog was pulled from the rubble by a rescue dog. 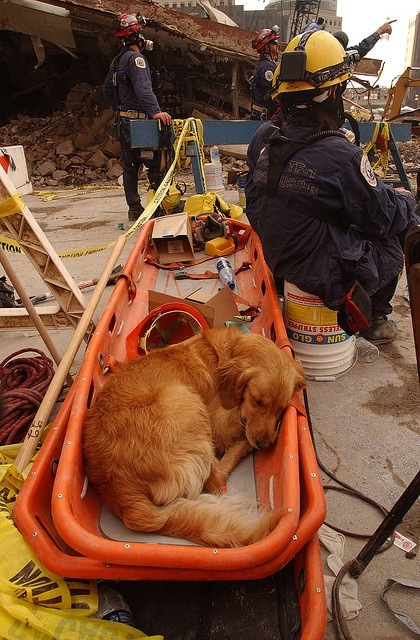 And 27 hours after the centre collapsed, the last survivor was discovered by a dog and pulled from the rubble. Thirteen years on, many of these dogs have passed on – for in a dog’s life, 13 years is a very long time. 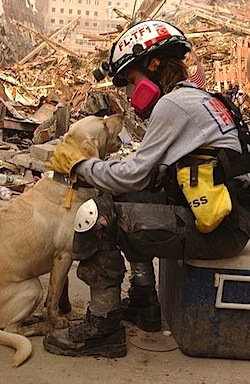 They are some of the heroes of 9/11 and may we not forget their part in one of the worst disasters of humanity. Thank you for the remarkable photos taken during that time. 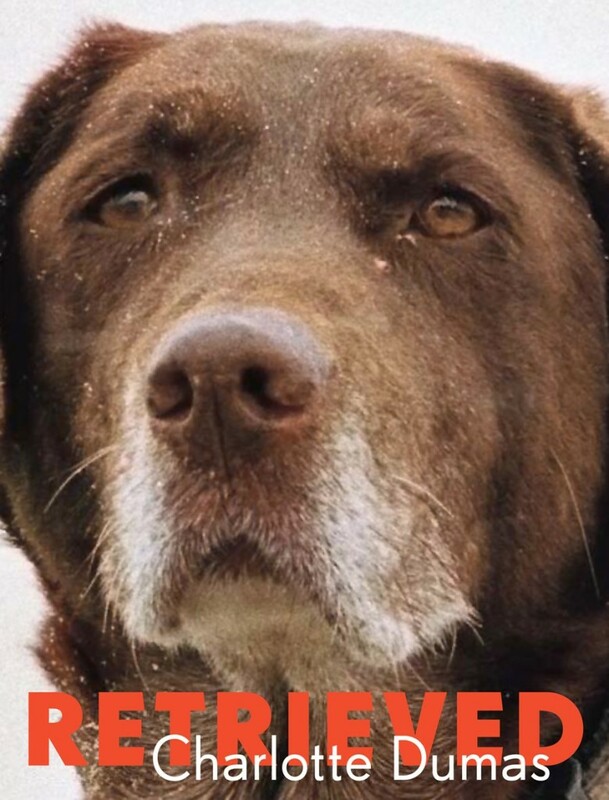 The expressive faces of the dogs say it all…. The horror and the determination to do their work retrieving duties.